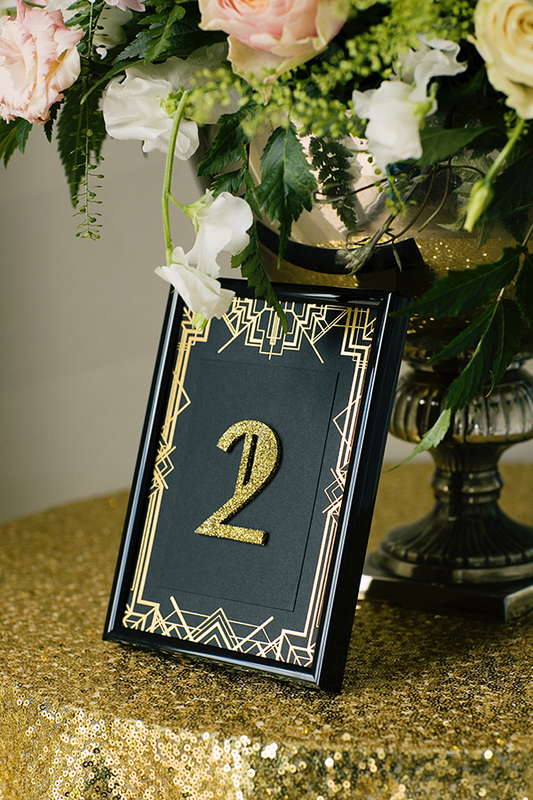 The Midland Hotel, Morecambe is a beautiful Art Deco building so I wanted to design a bespoke table plan to compliment the architecture. 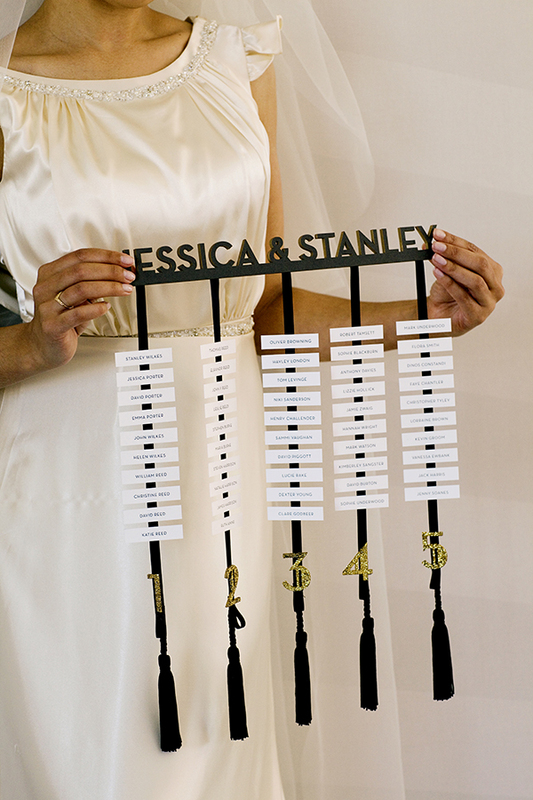 Inspired by the hotel’s sign, I laser cut the couples names to create a 3D header from which lists of individually hand cut guest names hung from, with ribbon. 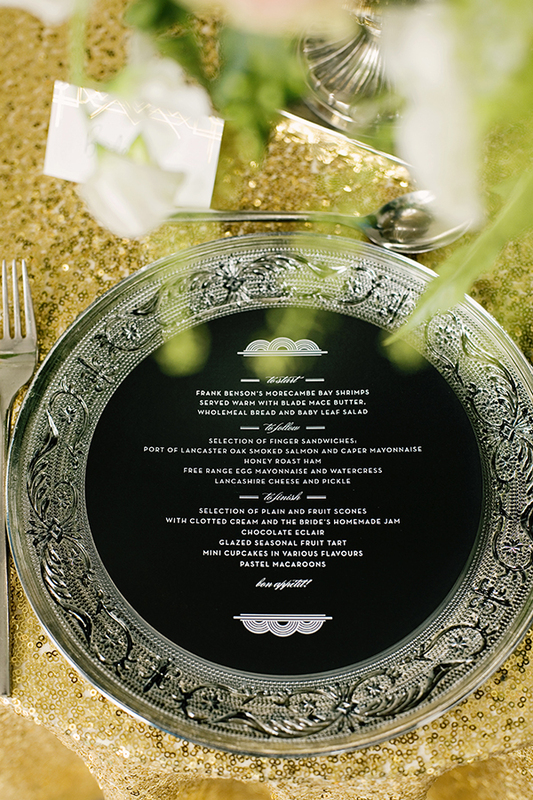 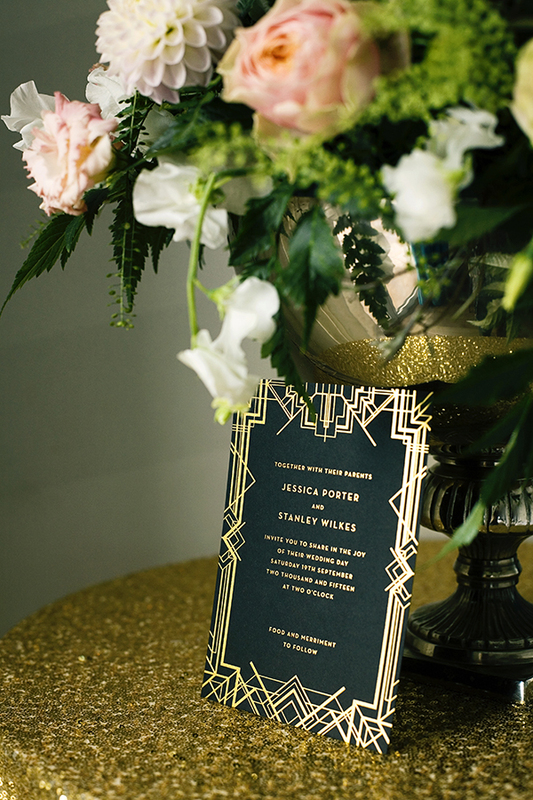 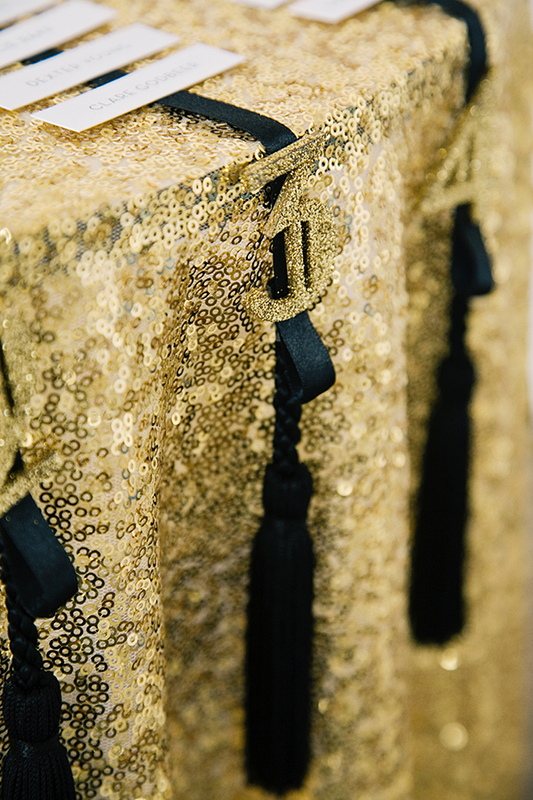 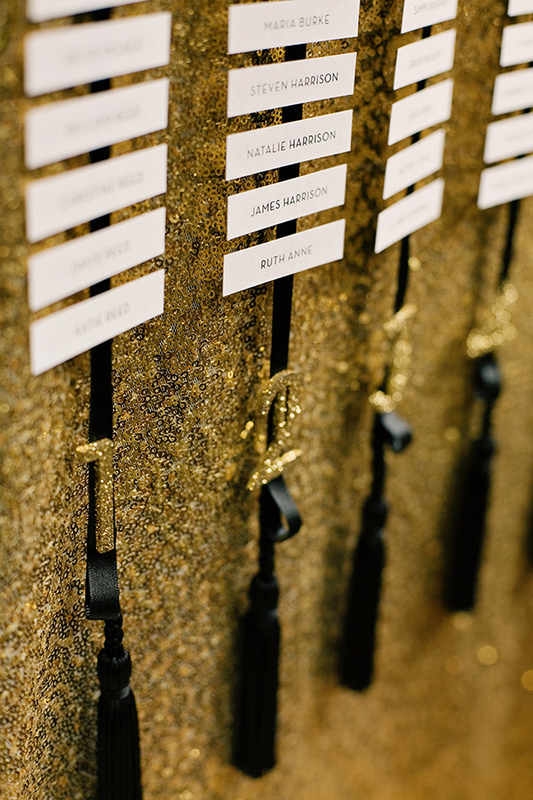 Each of the five tables is numbered with a laser cut, gold glitter number with hand stitched black tassels. 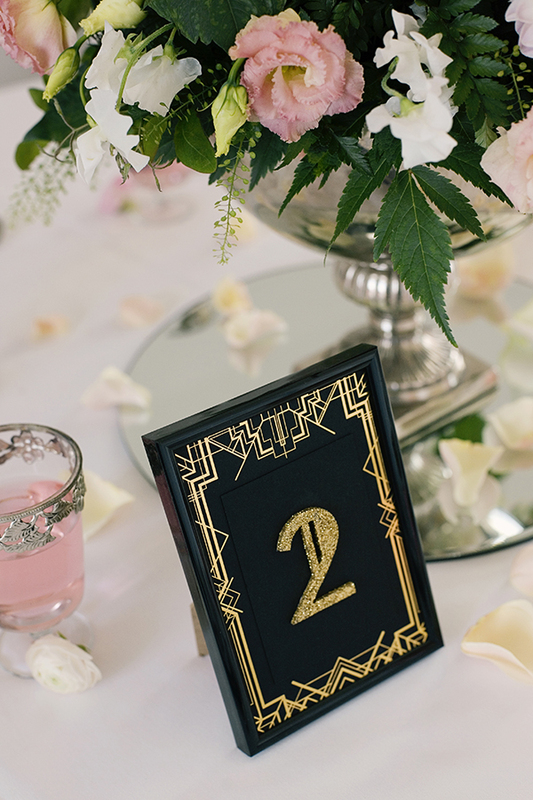 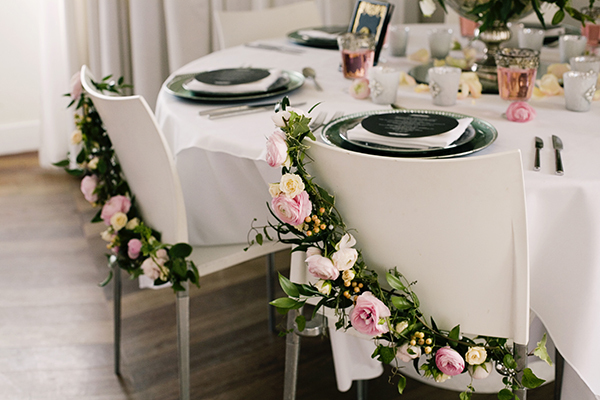 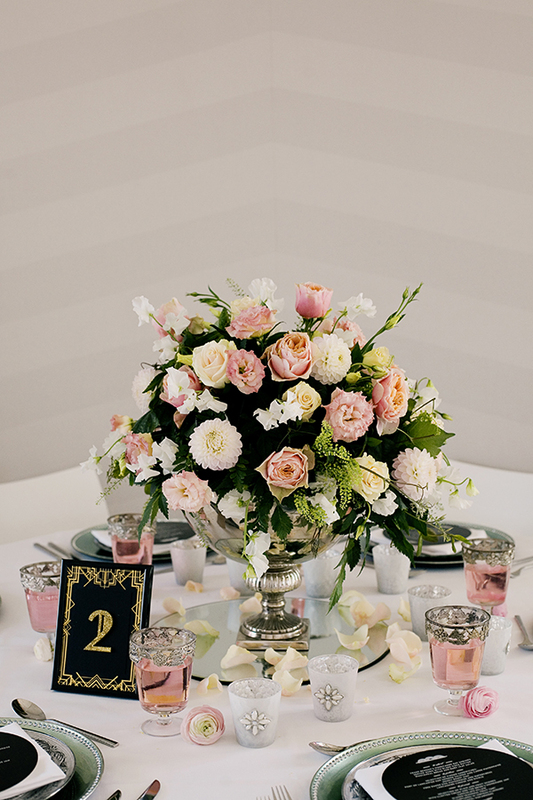 Seating plans don’t have to be boring, they can compliment the styling and create a fun talking point for your guests too.